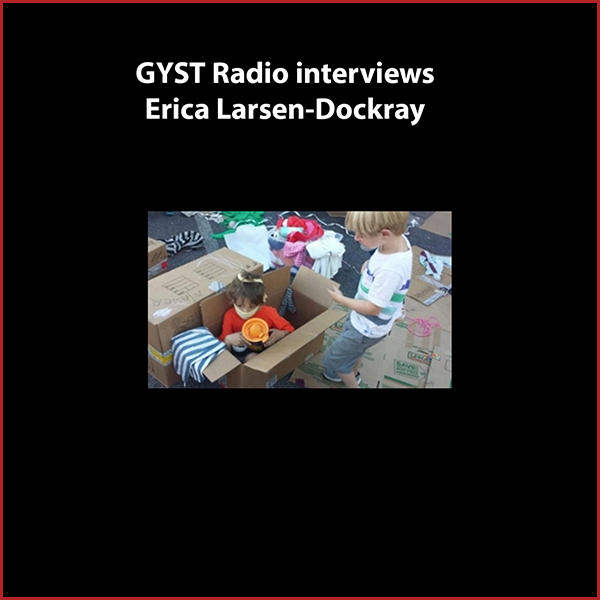 Erica Larsen-Dockray is an interdisciplinary artist and animator, teacher, double business owner, freelance graphic designer and web developer. She co-founded Calibraska Arts Initiative, a summer program bringing artists from California to small town Western Nebraska (where she is originally from) to teach multi-generational arts workshops. Erica is adjunct faculty at her alma mater CalArts, in the Film/Video School’s experimental animation program, and a teaching artist at Inner-City Arts in Los Angeles, in media arts and animation for 2nd-12th graders. Visit eekart.com for more information on Erica's art. Her latest venture is launching SCV Adventure Play with her husband Jeremiah, creating spaces for children and adults which facilitate self-directed and unstructured play. They are currently developing a permanent play park in Santa Clarita Valley and planning a conference for the training of play workers. Visit SCV Adventure Play .